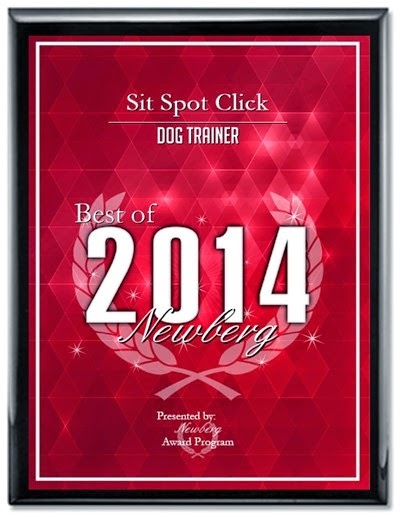 I want to give a shout out to you all who voted for me as the best trainer in Newberg for the year 2014! This was quite a wonderful surprise! Every year Newberg has a form you can submit where you name your favorite and best places and people for the year. I am honored to be included for this year! Thank You from Aliesha and Roxy!